The dynamic nature of the Narcisse snake population would suggest that recruitment is very high (Gregory, pers. comm. ), however, the long term impact of this annual highway mortality is unknown.Any potential long term population decline is of special concern, especially as it relates to the area's ability to sustain its present world renowned viewing opportunity. 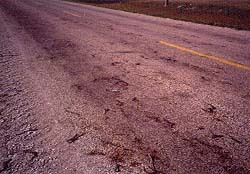 Amphibian and reptile mortality on roads is a phenomenon known to exist elsewhere in the world. 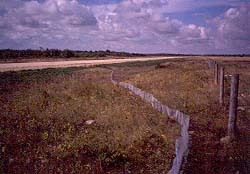 In his Natural Resources Management thesis "Evaluation of Methods to Reduce Road Mortality of Red-sided Gartersnakes at Narcisse Wildlife Management Area", Joshua Chan detailed some of these instances and described techniques that have been used to mitigate this mortality. Chan discussed various snake behaviours that relate directly to this problem, such as pheromone trail laying, wall following, and thermal attraction. 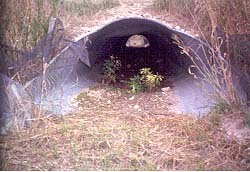 Chan experimented with the use of snake pheromone as a "chemical fencing", expanded drift fencing at the existing tunnel system and introduced a heat gradient to the tunnel to make it more attractive to migrating snakes. 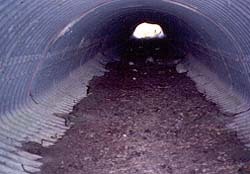 After 2 seasons of monitoring snake activity at the tunnel Chan found some evidence that the drift fencing successfully directs snakes to the tunnel entrance, and that some snakes will travel through the tunnel. However, he found that many animals preferred to bask at the warmer entrance to the tunnel. 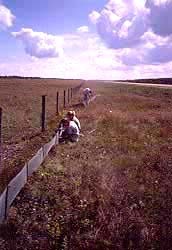 The chemical fence experiment was inconclusive because of a lack of snakes migrating through the area at the time. 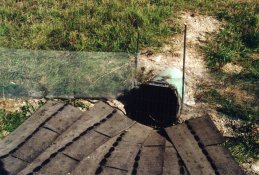 Other mitigative measures, such as road closure, human carry over and various traps were not tested because these techniques were considered unfeasible at the time. 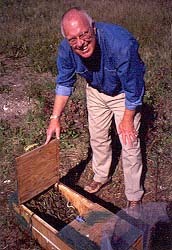 The level of snake mortality on PTH#17 during the fall 1998 and fall 1999 seasons appeared to be especially high. 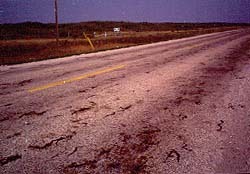 It has been suggested that this increased mortality may have been the result of a very high snake population, as well as the possibility that snakes are migrating west from the dens back over the highway. 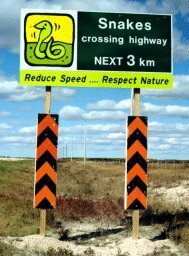 In addition, snake crossing – speed reduction signs were installed at the north and south ends of the migratory corridor to alert the public to the need to reduce speed in this portion of the highway. Monitoring of snake response to the reduced speed identified that animals crossing the highway can avoid being hit by cars travelling at a slower speed. Unfortunately, most motorists did not heed the speed reduction request and as a result the benefits of this technique were minimal. The signs will continue to be installed during migratory periods to make the motoring public aware of the need to reduce speed through the corridor. 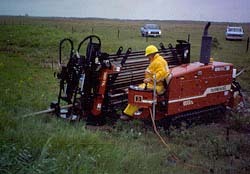 The Narcisse Snake Mortality Advisory Group was approached by Manitoba Hydro to develop and implement an experimental project to reduce snake mortality by creating a number of snake tunnels under PTH#17 using the Corporation's horizontal boring equipment. 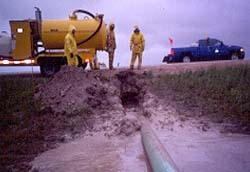 The Manitoba Hydro Construction Section is capable of boring and installing pipes up to a maximum 40 cm. (16 in.) diameter.